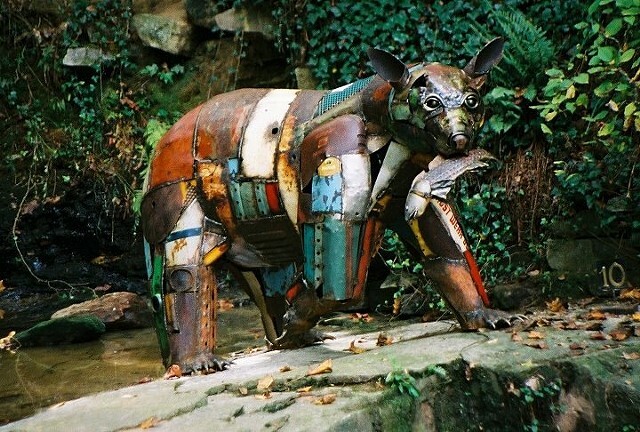 Black bear made from found objects with a found object "fish" in his mouth. Made for the Atlanta History Center show. Now in the collection of Henry Bauer Atlanta Ga.